Australian Chamber Orchestra presents Sol Gabetta and the Basel Chamber Orchestra, in the Concert Hall, at the Sydney Opera House, 29 November, 2015. The Australian Chamber Orchestra (ACO) as part of an international exchange has brought the Basel Chamber Orchestra, under the Directorship of Yuki Kasai, to Australia. The ACO will be performing in Switzerland in July next year. The Basel Chamber Orchestra is one of the most important institutions in the Chamber Music world for the remarkable contribution to the expansion of repertoire, that they have made in its 30 year existence. At this concert we heard a work commissioned in 1938, by the founder of this orchestra, Paul Sacher, for another Basel orchestra: The DIVERTIMENTO FOR STRINGS (1939), by Bela Bartok and another, but more recent commission: META ARCA (2012), by Heinz Holliger. Too, they have travelled to Australia with a guest soloist, cellist, Sol Gabetta, who besides playing the CELLO CONCERTO NO.1 IN A MINOR, OP.33 (1872), by Camille Saint-Saens, also introduced a work commissioned by herself from Peteris Vasks: CELLO CONCERTO NO.2 'PRESENCE' (2012). The first music of the concert was a work by Bartok, revealing his early career immersion in the folk music of Eastern Europe (and Central Asia and North Africa) but working in traditional Western forms. He was seeking to do this not only because of the position of his country, Hungary, between the East and West, but also as a demonstration of 'universal brotherhood'. We hear the rhythms of dance music blending their way through the piece whilst the second movement was muted almost funereal in its affect - and one cannot ignore the presentiment of war. Soon after this time and work Bartok sailed for the United States, never to return to Europe. He died in 1945. 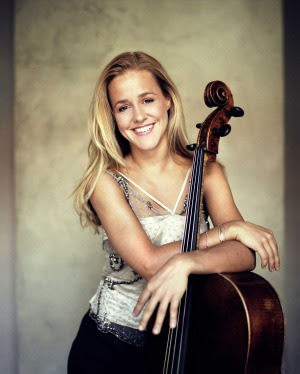 The great young Cellist, the extraordinary Sol Gabetta, gave a performance of the Saint-Saens Cello Concerto, the three movements seeming to be one. The composition gives 'the instrument an excellent opportunity to display its resources without straining after needless virtuosity.' Ms Gabetta, in a flame red full length dress with a halter neck, bejewelled collar, and bare arms made a commanding visual impact and heightened one's observation of the vibrating stillness of her focus and care on her instrument and the sounds she coaxed from it. It was a fascination, an hypnotic command of our concentration, almost 'fiend' like in its musical intensity, that drew us to hear and watch every note of the score that she gave us, as if possessed (in a good way) through her whole body with the spirit of music. Ms Gabetta was a marvel. The audience response was electric. After the interval we were invited into the contemporary world of composition of Swiss Musician Heinz Holliger. 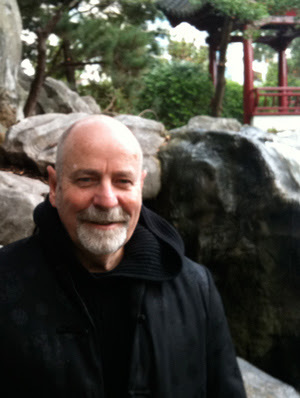 META ARCA is a 9 minute, mini concerto for violin and 13 or 15 string instruments. It explores the 'possibilities of sound emission in string technique - harmonics, alla chitarra (played in the manner of a guitar), the thumb beating against the body of the instrument'. The sounds can be quite ethereal in a very disconcerting way and hovered in the hall with a delectable thrill of a small splash into the modern, an illustration of the 'strains' of our times. Lastly, Ms Gabetta returned to play for us an extraordinary contemporary work, the CELLO CONCERTO NO.2 'PRESENCE', composed by Latvian, Peteris Vasks, under commission from Ms Gabetta, herself, and first performed in 2012. Vasks has stated that "Most people today no longer possess beliefs, love and ideals. The spiritual dimension has been lost. My intention is to provide food for the soul and that is what I preach in my works.' Ms Gabettto, again seated flame-like centre stage with her instrument, commanded the audience to strict attention with a paralysing but thrilling suspension of kinetic presence, her body and bow poised in a lengthy stillness till she began with a low C played coi legno (with the wood of her bow), the sound of the one odd note shattering the pregnant silence in the vast Concert Hall in the Sydney Opera House, that subsequently, mostly, through tonal alteration increases in sound to form a lengthy cadenza - the orchestra joining to give full rein to an undulating lyricism. The Second movement Allegro moderato seems to be a sparring match between the cello soloist and the rest of the orchestra - it is extraordinary in the technical feats and the resultant unusual combination of sounds in a violent rhythmic dance impression of great intensity. Finally, the work ends with a 12 minute slow movement of immense 'feeling' in sound, it is kind of ecstatically excruciating (in a good sense) in its experience, culminating in a 'sung' verse, hymn-like, from Ms Gabetta as she plays to a subtle and rewarding end. We held our breath at its end until Ms Gabetta released us. The 'religious' capacity of Vasks composition is powerfully moving and the composed, inspired playing by Ms Gabetta gave one the impression that we had been witness to an especially marvellous expression of genius - a modern 'miracle' of the faith in the power of music. Indeed, one should always make a point to seek out this artist for transcendental music making of a most rare kind. I was not just impressed, I was 'converted'. This guest orchestra from Basel gave us a sense of the living world of music with, in this concert, a work from 1872, France (bolstering the nation after the disastrous Franco-Prussian War), through to the Bartok of 1938, (composed on the edge of the announcement of the German-Russian Non-Aggression Pact - later, to be, tragically, broken) and two tremendous expressions of contemporary life strife from 2012, as expressions of man attempting to make sense of the tumultuous world environments - political, cultural and social - that we exist in today, in 2015. Does man have any positive certainty of his future? The Vasks work as played by Ms Gabetta tries to assure us that there is hope. A great concert from an Orchestra with a sense of the weight of European History inflecting the composed and committed playing by all of its members. There is a ' je ne sais quoi' timbre in this orchestra's sound that is very different to that of our ACO. Whatever it is, it is Shattering. Inspiring. Hopeful. Art and the politics we live in/with, conspiring together to help us believe that good sense will triumph in our world. Hopefully.